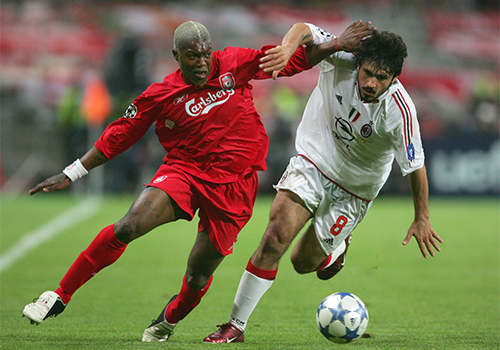 LFC Legends v Milan Glorie: What happened to the Istanbul contingent? 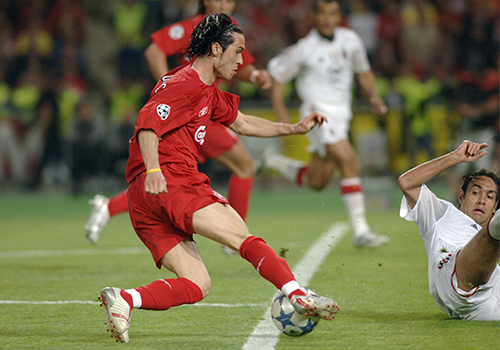 The 'Miracle of Istanbul' Champions League final in 2005 is regarded as one of the greatest ever played - and 17 stars who contested that historic match will be reunited at Anfield on Saturday. 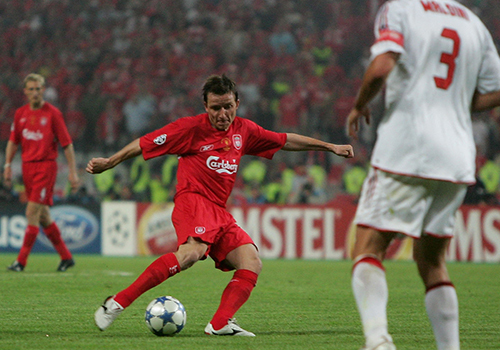 It was 14 years ago that Rafa Benitez's Reds fought back from a three-goal half-time deficit against AC Milan to win a dramatic penalty shootout. Man of the Match that night, Steven Gerrard, will once again pull on a Liverpool shirt this weekend, with fellow Istanbul heroes Jerzy Dudek, Jamie Carragher, Sami Hyypia, Djimi Traore, Luis Garcia, Vladimir Smicer and Djibril Cisse joining their former skipper and other club greats in the LFC Legends squad for an exciting charity game. But what has happened to those 17 players between then and now? Dudek left Liverpool to join Real Madrid in 2007, but the Polish goalkeeper will be forever remembered for that double save which denied Andriy Shevchenko and his subsequent heroics in the penalty shootout at the Ataturk Stadium. In his 2016 autobiography, 'A Big Pole in Our Goal', Dudek recalled the moment he saved Shevchenko's spot-kick to win the trophy: "I was hanging in the air like someone had miraculously held me there. It was like slow motion as the ball came towards me. "I raised my left hand and my left leg and I dived to my right in hope I would get something on it. The ball hit my left hand and landed one metre in front of the goalline. I saved it. I saved it. I SAVED IT!" 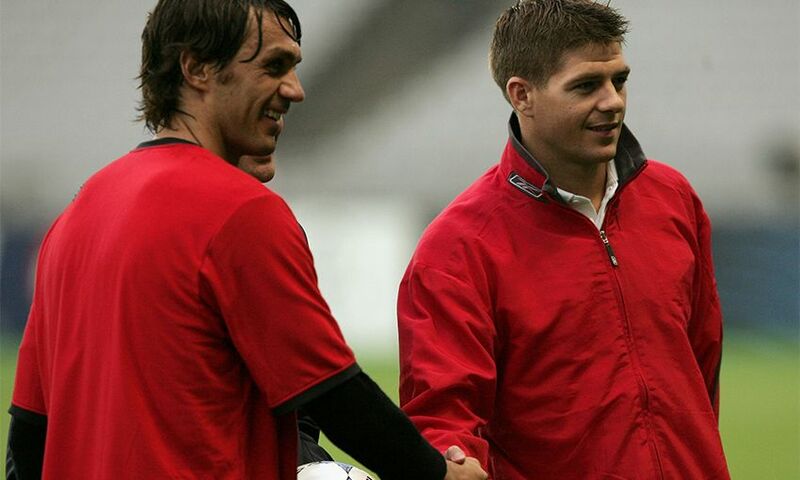 He bid farewell to Anfield in 2009 after a 464-game Anfield stay to join Bayer Leverkusen, where he finished his playing career and eventually became manager. 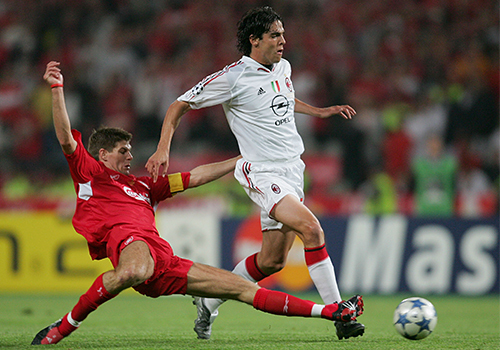 The one-club centre-back, who ranks second on Liverpool's all-time appearances list with 737, was a key part of the miserly defence that reached the 2005 final and made numerous last-ditch blocks and tackles in Istanbul despite going down with cramp late on. He added another FA Cup and League Cup to his considerable trophy collection before retiring in 2013. Now a leading media figure, Carragher has struck up an unlikely on-screen partnership with former Manchester United foe Gary Neville. He is also heavily involved in charity work with his 23 Foundation. 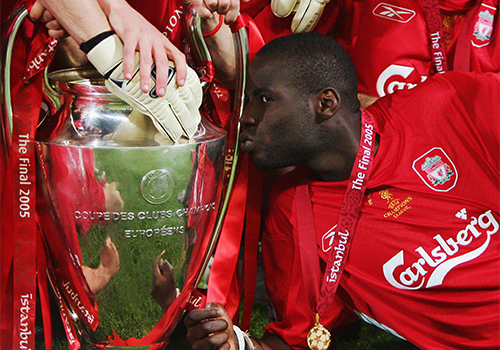 Traore played 141 times for the Reds and produced a crucial goalline clearance to deny Shevchenko what would almost certainly have been the winner in Istanbul. He is currently assistant coach to manager Brian Schmetzer at the US club after working his way up from the staff of the Sounders' second team. A cult hero who had a habit of scoring vital goals in vital games, Garcia netted five times during the triumphant Istanbul campaign, including quarter-final and semi-final strikes against Juventus and Chelsea respectively. That night in Turkey he netted the header which sparked the comeback - and he went on to score many more vital goals over a glittering 710-game career with his boyhood club. He left to join MLS side LA Galaxy in 2015 and, after hanging up his boots, returned to Liverpool as coach of the U18s in 2017. Named manager of Scottish club Rangers a year later, they currently sit second in the Scottish Premiership. On for the injured Harry Kewell after 23 minutes, he scored Liverpool's second goal and also netted a vital penalty in the shootout. He joined Bordeaux from the Reds and retired in 2009 at his first club, Slavia Prague, where he took up a coaching position. The retired Czech international then worked alongside national team head coach Michal Bilek as sports manager and in 2014 enjoyed a short-lived political career in his homeland. French striker Cisse came off the bench to replace Milan Baros late on at the Ataturk and netted a crucial spot-kick in the shootout. The Lord of the Manor of Frodsham, as he became known upon purchasing a manor house in the Cheshire town, left Anfield for Marseille, initially on loan, in 2006. He re-focused on a career as 'a DJ, producer and pundit' and performed as Mariah Carey's warm-up DJ for her shows in Paris. In 2017, Cisse came out of retirement to sign for Swiss third division club Yverdon-Sport, scoring 24 goals in 28 games. And in August 2018, at the age of 37, he signed for Italian side A.C. Vicenza 1902. Son of AC Milan icon, captain and coach Cesare Maldini, Paolo continued the family legacy at the Italian giants for the entirety of his 25-year professional career and skippered his side in Istanbul. 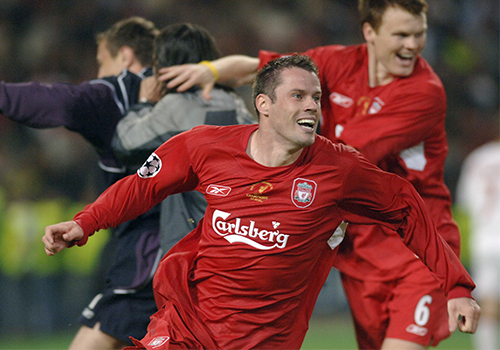 Defeated that evening - despite volleying in the opening goal after just one minute - he led his team to a revenge victory over Liverpool in the 2007 Champions League final to secure the fifth European Cup of a trophy-laden career. 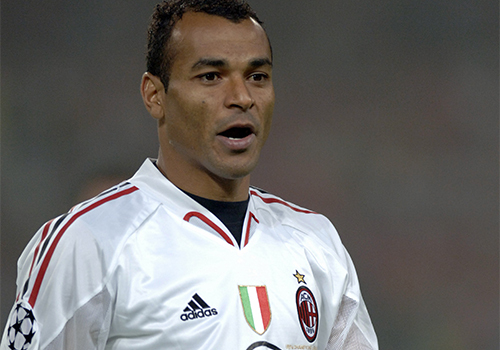 Widely regarded as one of the best defenders to ever play the game, he eventually hung up his boots at the end of the 2008-09 season after making 902 appearances for Milan. He founded the fashion label 'Sweet Years' with former international teammate Christian Vieri and in August 2018 returned to Milan as sporting strategy and development director. 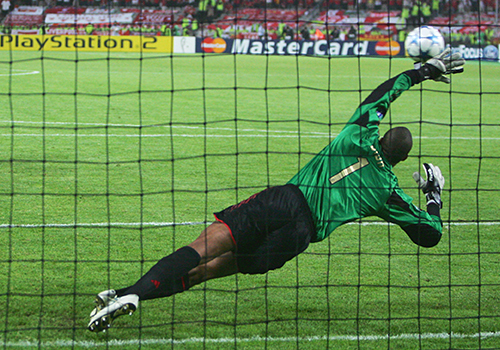 Dida had been the penalty shootout hero when Milan won the Champions League in 2003, but despite saving another spot-kick in 2005 (and one during normal time, but Xabi Alonso netted the rebound) it wasn't to be in Istanbul. The Brazil international lifted the European Cup along with Maldini in Athens and stayed with Milan until 2010, when his contract expired and he went into temporary retirement. In 2012, he returned to his homeland with Portuguesa. Stints at Gremio and their bitter rivals Internacional followed before he finally hung up his gloves in 2015, at the age of 41. After studying for his coaching badges in Brazil, Dida joined Chinese second division side Shenzhen FC as assistant to manager Clarence Seedorf, his former Milan teammate, for the 2016 season. Brazil's most capped player of all time made 166 appearances for Milan, winning the Super Cup, Serie A, Supercoppa Italiana, Champions League and FIFA Club World Cup along the way. Famous for his marauding runs from right-back, Il Pendolino ('The Express Train') called time on his career in 2008 after his final season with the Rossoneri. He popped up on the radar of Liverpool fans again in 2014 when he took an interest in the performance of emerging Reds full-back Jon Flanagan, who had been dubbed the 'Scouse Cafu' by fans. After being inundated with messages on Twitter, the two-time World Cup winner flew out to Anfield to meet the defender in person. More recently, he's been busy in his role as Laureus World Sports Academy Member, promoting and attending their 2019 World Sports Awards in Monaco. 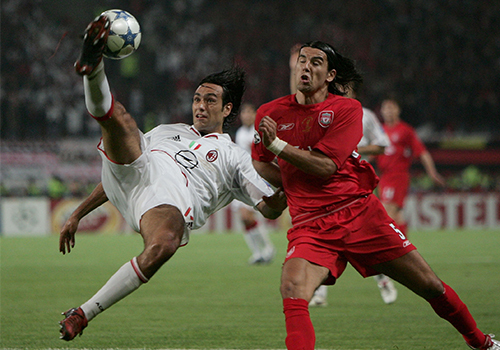 Italy centre-back Alessandro Nesta bounced back from defeat in Istanbul to win the World Cup in 2006 and added a second Champions League trophy to his collection with Milan a year later. The classy defender left the Rossoneri to join MLS outfit Montreal Impact in 2012 and briefly played for Indian Premier League side Chennaiyin Football Club in the twilight of his 21-year professional career. After cutting his managerial teeth with Miami FC in the North American Soccer League (NASL), he joined Italian side Perugia as head coach in May 2018 and currently has I Grifoni sitting seventh in Serie B. The man responsible for Gerrard adding right-back to the list of roles he performed with aplomb in the 2005 final, Serginho came off the bench after 86 minutes and buccaneered down the left flank during extra-time. However, he missed their first spot-kick in the shootout (he had scored their first in the 2003 triumph over Juventus) and remained on the bench when the two clubs renewed acquaintances in Athens in 2007. The Brazilian retired when his contract with Milan ran out in 2008 and could count two Champions League winner's medals and Scudetti among the substantial list of silverware he won during an 11-year stint with the Rossoneri. In 2017, he briefly joined the coaching staff of fellow Brazilian and former Milan teammate Leonardo at Turkish side Antalyaspor. His compatriot re-joined Milan as sporting director in July 2018 and Serginho now works as part of their scouting network in Brazil. Now the manager of AC Milan, Gattuso was a tigerish midfielder who was hugely popular among the fans. 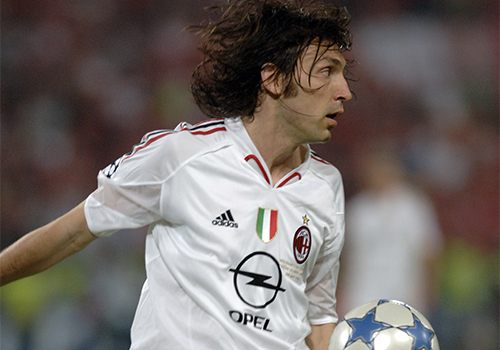 He played in three Champions League finals with the Rossoneri and won the other two. Post-Istanbul, the Italian added the 2006 World Cup to an impressive CV that includes 10 trophies in 13 years at Milan. He left San Siro in 2012 to play for Swiss side Sion, where he was quickly promoted to player-coach. Managerial stints at Palermo, OFI Crete, Pisa and Milan's U19s followed before he landed the big job at San Siro in November 2017. "When the torture of the game was finished, we sat like a bunch of half-wits in the dressing room. We couldn't speak, we couldn't move. They'd mentally destroyed us." The words of the great Andrea Pirlo when reflecting upon the Istanbul defeat in his autobiography, 'I Think Therefore I Play'. 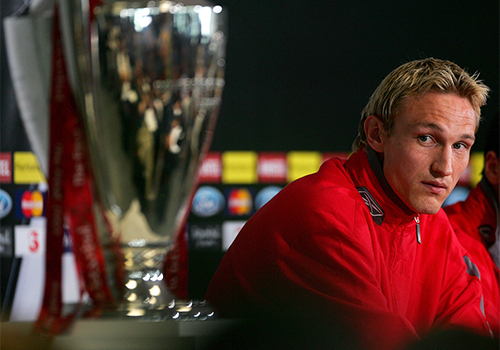 The 2006 World Cup winner would, of course, bounce back and, like a number of his teammates, win the 2007 Champions League final at Liverpool's expense. In 2011, at 31 years old, the deep-lying playmaker ended his 10-year stint with Milan to join Juventus and went on to win four successive Scudetti. He headed to MLS side New York City in 2015 and retired at the end of the 2017 season. In May last year, Pirlo played in a testimonial match in his honour at San Siro. 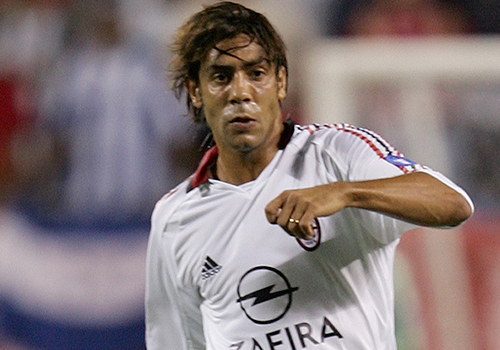 Milan's record signing when he joined in 2001, Rui Costa spent just one more season at San Siro following the 2005 Champions League final. The Portuguese attacking midfielder returned home to boyhood club Benfica and played the final game of a distinguished career in May 2008, when he was given a standing ovation at the Estadio da Luz. A legend at the Lisbon club, he was named director of football the very next day and helped lure a number of top players as Benfica won their first Primeira Liga for five years in 2010. Still in the post, the former No.10 has helped steer the club to four more league titles. Brazil star Kaka had a hand in two of AC Milan's goals in Istanbul and also had the final chance of the regulation 90 minutes but could only glance his header wide. Two years later, the Rossoneri playmaker was named FIFA World Player of the Year, scooped the Ballon d'Or and got his hands on the Champions League trophy in Athens. He became Real Madrid's record signing (for about 24 hours) in 2009 as the Spanish side began constructing a new team of galacticos and returned to Milan for the 2013-14 season after winning La Liga. Kaka joined new MLS franchise Orlando City in 2014 and after a brief loan spell with boyhood club Sao Paulo while the Miami side's entry to the league was ratified, he went on to score 25 goals in 78 games before retiring in 2017.